Today's (official) post is, I self confess, a bit of a lazy one. This weekend is what my flat is calling our 'Christmas weekend', because we're breaking up next week and won't see each other for the majority of festive season, we've dedicated this weekend to festivities and I am currently sat munching on melted camembert whilst watching a Christmas special of the Vicar of Dibley with three of the girls I live with. I've had a bit of a hectic day meeting deadlines this week, shopping for tomorrow and attending the most beautiful Carol service at our university chapel (it's not Christmas until you hear Hymns)! 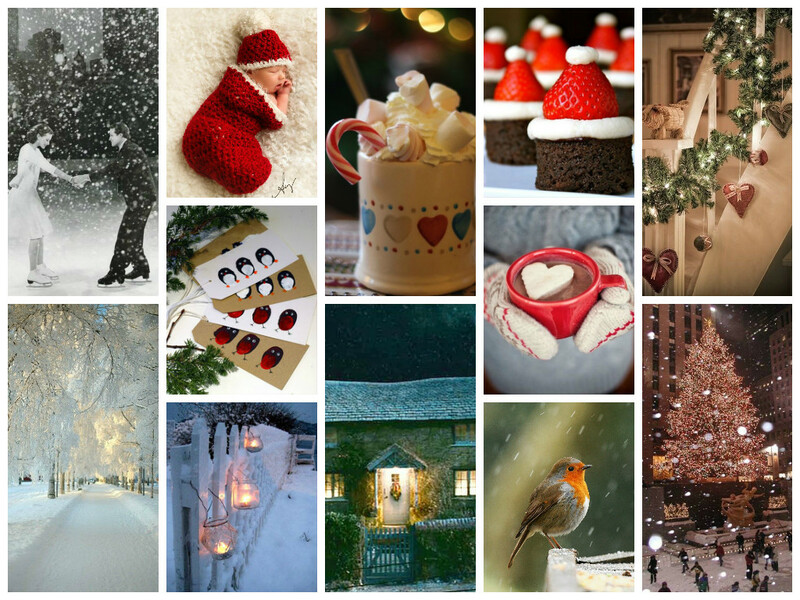 For this reason, I've had absolutely no time on my hands and now, when I've just started to relax, I thought I'd use this post as a bit of a cosy one and fill your lives with Christmassy photo's and show you what Pinterest has to offer in the way of Christmas (we all know how much I love Pinterest). Tomorrow you will be provided with a 'real' blogmas post, because, as I mentioned before, it's 'Flat Christmas' which means a day of present opening, christmas jumper/pyjamas, christmas dinner, and christmas films. Basically, Christmas day but 3 weeks early. Excellent. Don't these photo's just warm your heart? I want to get into my over the knee socks and cuddle up with some hot chocolate immediately! Sorry for the quick post- Home Alone is waiting, but I will make up for it all tomorrow when Christmas Number 1 Occurs. All photos are amazing, so heart warming.